Improving your brain function can be all it takes to be number 1! A snowboarder who was able to calm his pre-race jitters and achieve better vision on the snow. Springboard and platform divers were able to complete higher quality and more complex dives after completing as few as 20 BrainAdvantage sessions. Golfers and football, baseball and tennis players have all found that BrainAdvantage gave them the edge they needed to perform better. You see the ball coming and your brain has to make many lightning-fast calculations: Forehand or backhand? Can I reach it? What pace and spin should I use? Where is my opponent most vulnerable? What’s his weak point? Your brain directs your leg and torso muscles to get you to the right spot and into position. Your eyes continue to read the ball’s position and rotation and your brain directs your arm, shoulder and torso muscles to position the racquet for the swing. And then you swing! If it all comes together the way your brain has planned it, you land a solid cross-court winner to your opponent’s weak backhand for the set point! You can't expect muscle training alone to accomplish this complex performance. You need to see more, have perfect timing, maintain your focus on the ball, and think quickly and accurately. At BrainAdvantage, we know how to help athletes train their brains to focus and concentrate, block out emotional disturbances and ignore extraneous sounds. Maximum Peak Performance requires your best in all of these areas. 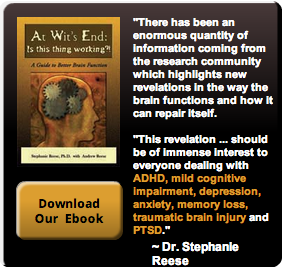 The BrainAdvantage System is not just "brain training". We begin with an assessment of overall brain performance. We look at brain function, neuromotor skills, oxygen levels in the brain's frontal lobes and how well the eyes work together. We need a complete picture of how the brain is functioning in order to create a personal brain training protocol just for your athlete. Then we guide the athlete through a series of training sessions that exercise a varierty of skills and physical abilities. We at BrainAdvantage use an individualized, integrated system combining a number of technologies to help maximize brain function. We work both the brain and the body because we know that they must work together to achieve athletic goals. How does The BrainAdvantage System work? It provides the athlete with more information about the brain and body than normal senses can provide. This "feedback" helps an athlete learn to develop greater control over his brain. Our system is exceptionally effective for amateur and professional athletes who wish to improve their ability to focus, improve accuracy, gain clarity, resist outside pressures and sustain a mental edge. Those who complete our program report that they have stronger attention and focus, improved ability to "get into the zone" and much improved mental timing and coordination. 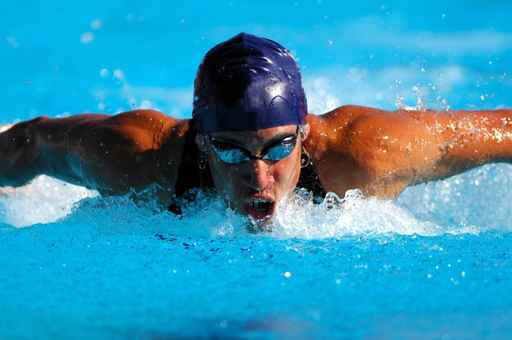 Our clients also tell us that they are much more relaxed when competing and have much improved mental recovery. We have worked with a wide range of clients over the years and know that a single mode of training just doesn't work for everyone. That’s the reason we developed our integrated system to attack all of the issues preventing Peak Athletic Performance. Our system has proven exceptionally effective for athletes who want to improve their ability to focus, improve their concentration, gain clarity and emotional stability, resist outside pressures and sustain a mental edge. Call BrainAdvantage today at 949-276-8704 for a free consultation and take that first step to helping your athlete succeed.